Twinings Chai tea was one of my favourite drinks of tea in the world. I write that as my first sentence to act a bit like a disclaimer as to the tone for the rest of this write-up. I went to purchase my regular Twinings Chai from Ocado and it wasn’t listed. This Spicy Chai was, so I added that to my basket instead. 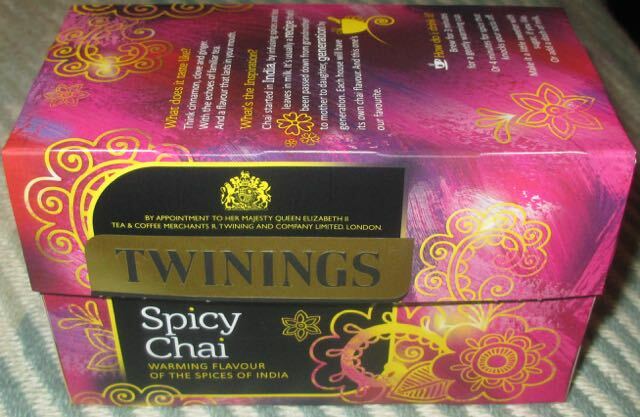 I then had a look around online and realised that none of the big supermarkets I checked were stocking Twinings Chai. I checked the Twinings website - it has gone. This came as quite a shock, I drink a lot of Twinings Chai, an obscene amount to be fair. I was curious what my online order would bring. The Spicy Chai arrived. The first thing I spotted was the number in the packet. Now the original Twinings Chai cost £2.79 for 50 bags, and could often be found on offer at 100 bags for £4. 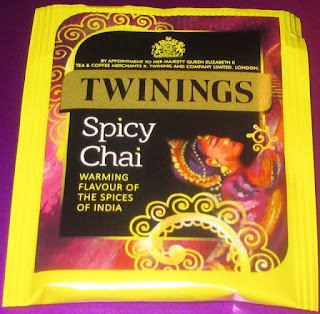 The new Twinings Spicy Chai cost me £2.49 for a mere 20 bags. Thats a heck of price increase for someone that chain drinks the stuff. They are now “individually wrapped” to somehow make the price seem acceptable, even if it isn’t quite n environmentally friendly thing to do. The tea itself was nice. The flavour has changed very slightly, there was perhaps a hint more ginger and a little less cinnamon. It was however completely palatable. I liked it, I’m sure if I was to continue drinking it I would become more accustomed to its flavour and enjoy it just as much as the original Chai. However I’m not going to give it the chance, I feel like I’m being cheated, it is not significantly different enough to warrant the reduced number of tea bags. I feel there ought to be another thirty bags in that box to justify the price. I’m going to see how some of the supermarket own brands compare, and see if I can get my Chai fix that way. By the way I am fully aware that Twinings have a posher, even more expensive (£3.49 for just 12 bags) range of Chai Lattes on the market. Having tried them I have not found a single variant that has made me want a second bag. For me they are too strong and overpowering. Plus if I had liked them I couldn’t afford to drink them at the rate I normally go at!